“Thy saddle shall be the seat of prayers to me. Sheikh Mohammed bin Rashid al Maktoum of Dubai is an accomplished and avid horseman, who owns many purebred Arabian horses and participates frequently in international competitions. He owns stables, racetracks and stud farms in England, Ireland, and Kentucky. Evidently he rides almost every single day, often in the desert or along the shoreline of the Arabian Gulf. Riding is deeply engrained in his Bedouin roots -remember he is a mere generation away from tribal, desert life- and the enthusiasm is shared by his family members. 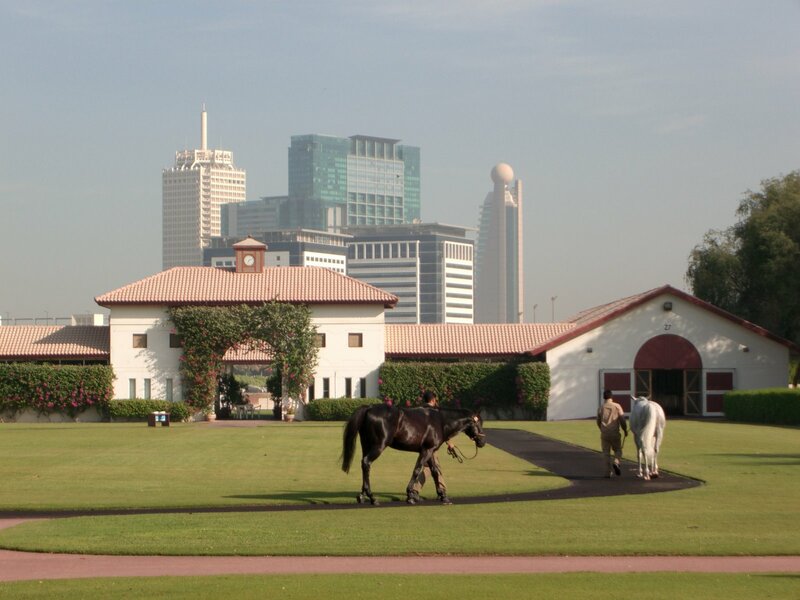 In fall 2008, some tourists from Maryland arranged, through a connection of a member in their group, a private tour of the Sheikh’s Zabeel Stables. There is no public access to these, so I felt very fortunate to be included. 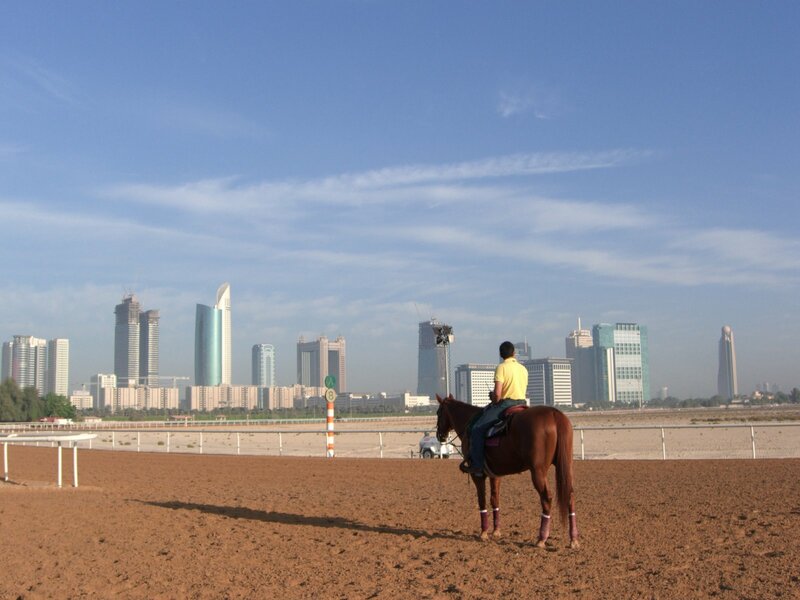 The main trainer told us that on the previous day, the Sheikh’s 11-month-old daughter had gone for her first ride! The horses are simply splendid. Each one has two fulltime caretakers or handlers. 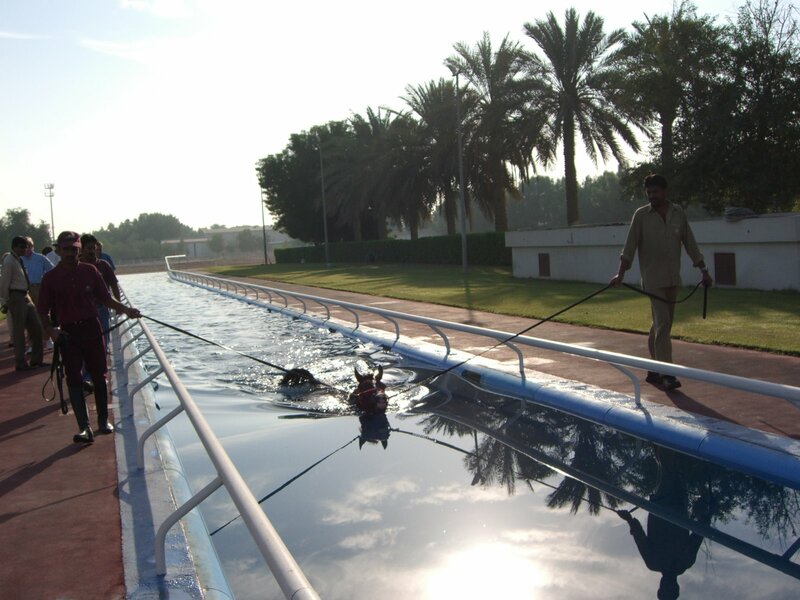 The stable compound includes a lap pool, a treadmill, and a Jacuzzi. 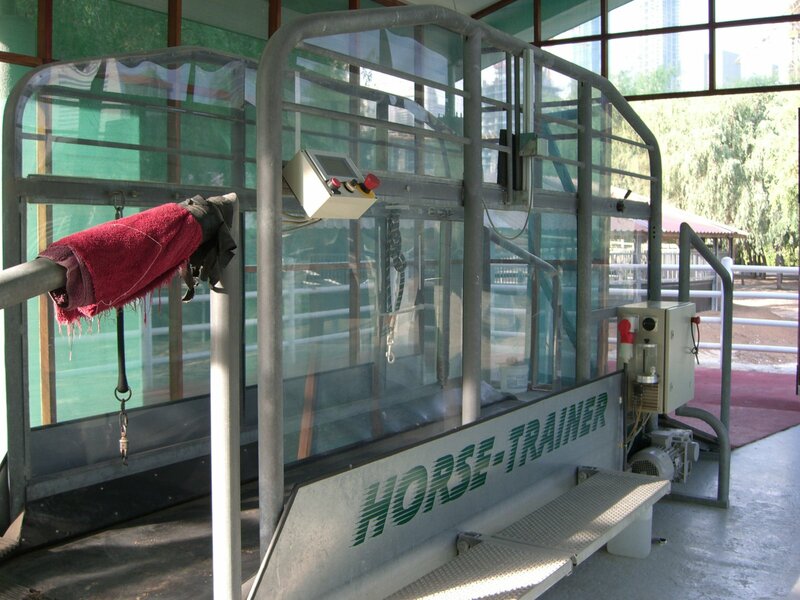 Let me clarify that these are for the HORSES. 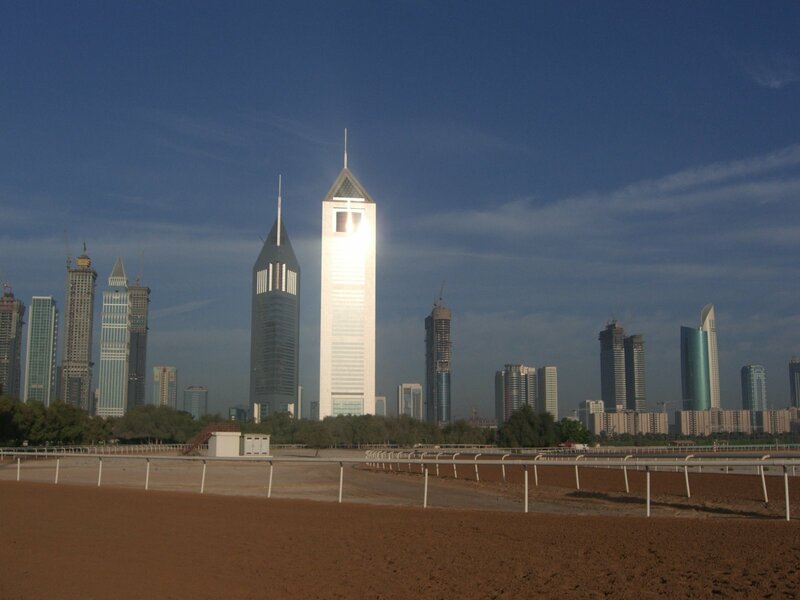 I love the idyllic horse yard, and the clean lines of the Dubai city buildings in the background. a beautiful life for these horses.